Our long, cold, hard Florida winter is finally over. It is time to go outdoors again and celebrate spring. Our connection to nature is very important to personal and social well-being. Time spent outdoors engaged in recreation and active leisure is a necessary component to holistic health as individuals and as a society. We continually strive to promote the benefits that the outdoor recreation industry has to offer. One of the major benefits that must be recognized is the financial contribution that outdoor recreation makes. Every year, American’s spend $646 billion on outdoor recreation- on gear, vehicles, trips, travel expenses, and much more. This creates jobs that in turn support our communities and help drive the economy. Throughout the country, people currently recognize that the outdoors and open spaces attract and sustain family businesses, and create healthier and higher quality of life. 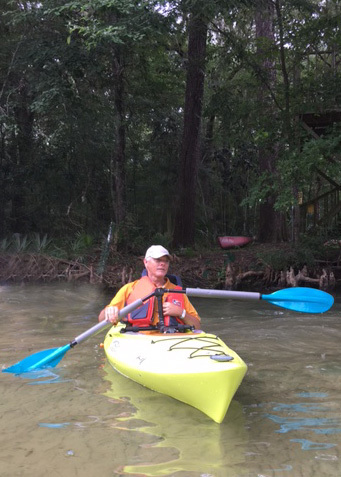 Over 50% of Florida residents participate in outdoor recreation each year. We, as Florida residents, are fortunate to live in a nature paradise. Florida has spectacular outdoor recreation options and treasured destinations that bring in dollars from residents and visitors alike. According to an economic study recently released by the Florida Department of Environmental Services research project, the total outdoor recreation economic output of our state is 145 billion dollars. In addition, it is calculated that Florida visitor spending totals $70 billion. Outdoor recreation has created around 1.2 million jobs in our state, and our annual visitation is now over 112 million people annually. The State Comprehensive Outdoor Recreation Plan (SCORP) is Florida‘s blueprint for outdoor recreation. It provides guidance to communities, businesses, and organizations to meet the recreation demands of Florida. Florida’s diverse growing population, promoting the economic benefits and importance of ecotourism, is one of the top priorities of the 2018 five year plan that is now nearing completion. Another major priority of this plan is promoting health and wellness benefit. Improving public access, accessibility, and connectivity is a third major priority. All of these concepts and objectives are the same benefits that the FDOA has been relentless to recognize and promote. Our crusade is to promote opportunities for all by providing access and inclusion in outdoor recreation. The fourth major area of priority for the SCORP is in resource management and stewardship of our natural areas. It is essential to protect our natural resources as we would have no outdoor recreation without preservation. The connection between people and the natural world is fundamental to human health, well-being, and long-term survival. Nature is a source of food, clean water and air, medicine, shelter, and of course, economic opportunity. In order to thrive, people need direct access to nature. Nature reduces stress, renews our spirit, connects people to each other, and increases physical activity. Humans are not only part of nature, but our connection to it is a fundamental need. Here at the FDOA, we believe that access to nature is a basic right of all people, all ages, and all abilities. Active Leisure for Life! SportsAbility is becoming a global channel to teach people of all abilities from numerous countries what is possible.We have had delegations from the Islands of the Bahamas, visitors from Spain, Italy and other countries. This year the keynote will be Alexey Talai, a Paralympic swimmer from Belarus. He is #1 in his class in the world in the 2017 World Swimming Para Rankings. Despite his accolades, he is a simple man who lives a simple life. In 1999, at the age of 16, Alexey lost his arms and legs due to an exploded bomb that had previously laid in the earth, undetected, for more than half a century. Undeterred by his injury, Alexey picked himself up and, more importantly, didn't give up. Alexey taught himself to not only live, but prosper, inside his new body. Alexei advocates that the fundamental factor to survival is acceptance, and he decided to turn all of his negatives into positives. One of his greatest achievements is serving as a mentor and leader for orphans and children with disabilities. He was able to open himself to a new world where limitations did not exist. He is a firm believer, as well as living proof, that anyone can be anything as long as they work hard and strive for success. Alexei believes that the harder the struggle, the greater the victory. Alexei will be sharing his experiences at SportsAbility and also looking for ideas that he can bring back to Belarus. In addition, a delegation from the Handi Equality and Development Association in Morocco will be coming to SportsAbility to meet with the numerous activity and resource providers. They will be opening up a dialogue to begin a partnership. Their goal is take what they learn at SportsAbility and establish similar practices for people of all abilities in Morocco. “Live a Day, Live Your Life” – Recreation Demo Days in Florida!! 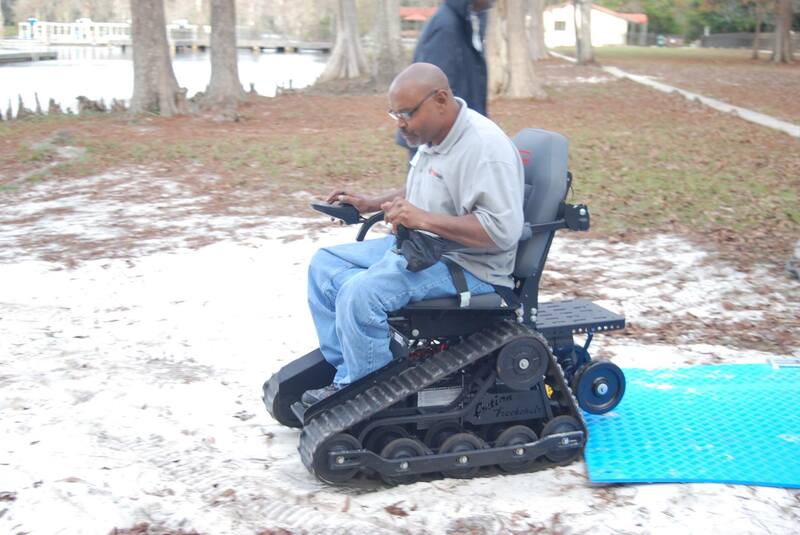 The Florida Alliance for Assistive Services and Technology (FAAST) in partnership with the Florida Disabled Outdoors Association (FDOA) were just awarded a High Impact Innovative Assistive Technology Grant from the Christopher and Dana Reeve Foundation. The grant will allow FAAST and FDOA to bring health and wellness awareness and access to individuals with paralysis living in the rural areas of Florida. 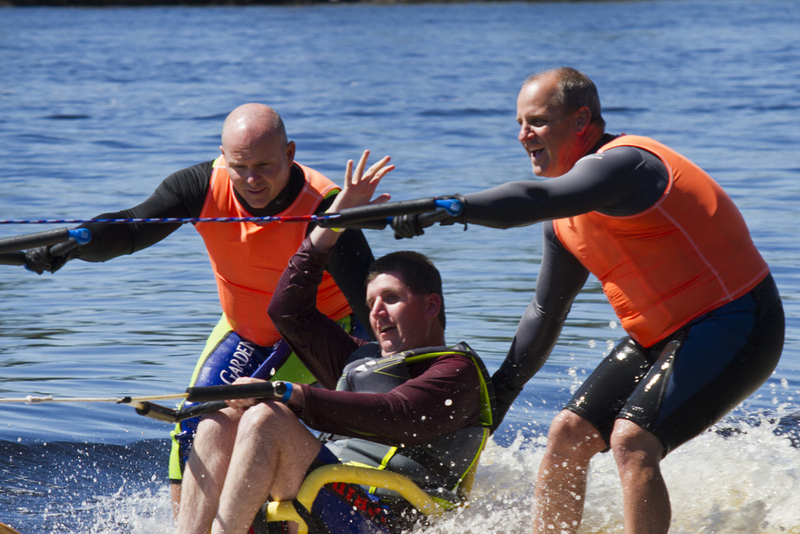 Over the next twelve months, three outdoor fitness and recreation events will take place providing a full day of hands on access to numerous types of outdoor recreation equipment / assistive technology. Some of the items include hand cycles, self-propelled all terrain chairs, track style off road power chairs and accessible water sport equipment. Fitness instruction and health and wellness guidance will be provided, enabling individuals with paralysis and other disabilities to learn new ways to keep in shape and live a healthier lifestyle. For more information on how you can participate or assist with the events, contact Eric Reed at (850) 487-3278, ext 104 or [email protected]. Opportunity makes it possible to do something and there is a way for everyone to play baseball! Around the country there are accessible inclusive baseball programs that are played on rubber surfaces. The Miracle League as it is called in many places provides a way for people of all abilities to be part of a b. aseball team. Miracle Sports gives opportunity to all individuals, despite their ability. 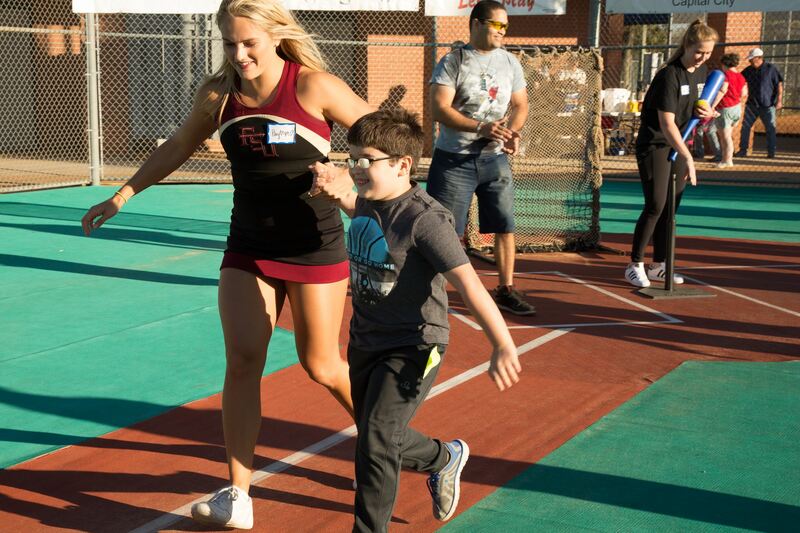 Whether it is called Miracle Sports or Miracle League, game days are rich in inclusivity, where our athletes and volunteers play together and encourage one another. Miracle Sports is possible due to the brilliant mind of President and Founder David Jones, along with the hard work of Executive Director Laurie LoRe-Gussak. These two individuals put in tremendous amounts of work and relentless effort into making Florida Disabled Outdoors Association, along with its events such as Miracle Sports, the best it can be. Whether it be kickball, tennis, or baseball, Miracle Sports provide access to athletics for people of all abilities, and a safe haven for everyone to have the opportunity to participate in recreation. Baseball is one of Miracle Sports most attractive activities. Baseball allows for individuals to express their love for America’s pastime. Whether it be swinging a bat, rounding the bases, fielding a ball, or cheering on fellow friends, everyone has the opportunity to participate and succeed at this game. The cohesion, togetherness, and community that baseball brings to all individuals, despite ability, is truly remarkable. Participants learn the necessary skills in teamwork and sportsmanship while playing baseball, and learn to understand the importance of having fun over winning and competition. 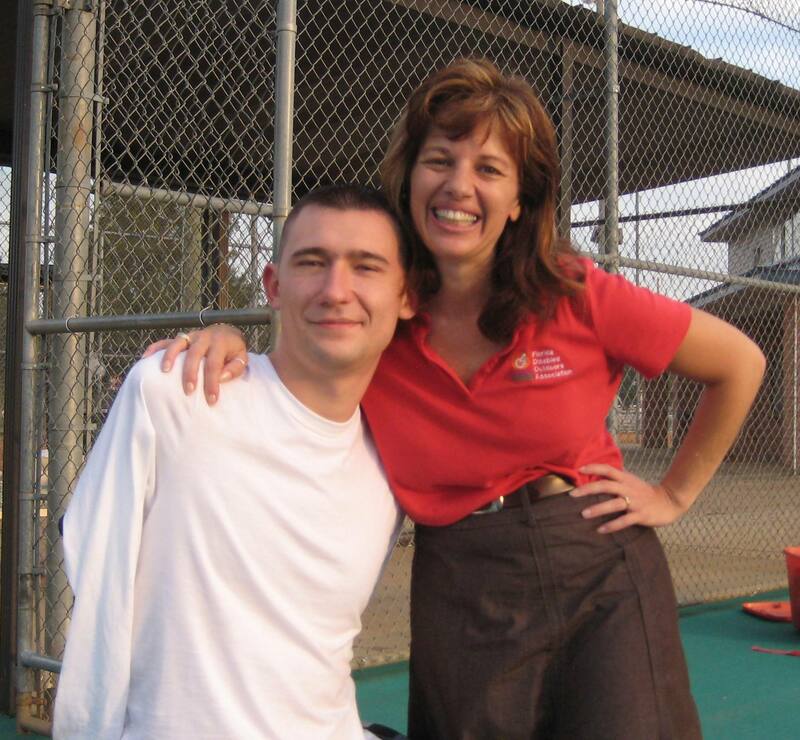 Baseball provides a perfect foundation for volunteers and participants alike to form long lasting relationships with people they may have never come across if it wasn’t for Miracle Sports. The buddy system incorporated by Miracle Sports pairs up volunteers with individuals who are dealing with a mental or physical disability. Throughout the game, these volunteers helps the participants with any and everything that they may need. By the end of the game, volunteers and participants are laughing together and grateful for the experiences that each other helped to establish. The opportunity to play baseball is not only beneficial for physical health purposes, but also for mental health. The opportunity to go out and play baseball in the fresh air is soothing and worth every minute. Although baseball is the game that is being played, the people and experiences gained are the reasons why everyone shows up, and comes back for more. To find a team near you, check out our online database at www.fdoa.org/resources or contact the Miracle League at www.themiracleleague.net.